A starting capital of $100,000 at inception on 1/2/2009 would have grown to $399,031 which includes $1,922 cash and excludes $10,605 spent on fees and slippage. The starting capital of $100,000 at inception on 2/3/2014 would have grown to $105,774 which includes $1,706 in cash and excludes $408 in fees and slippage. 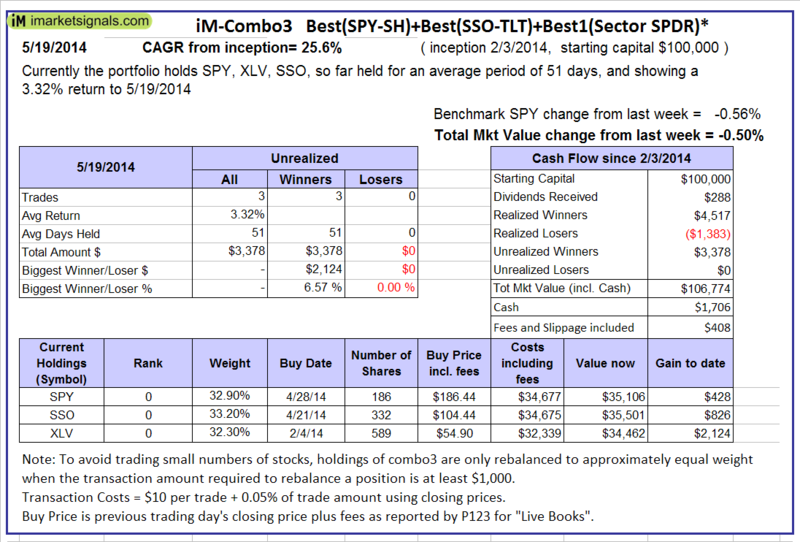 The iM-Best(Short) position for Monday of 5/12/2014: TSLA and VTR. 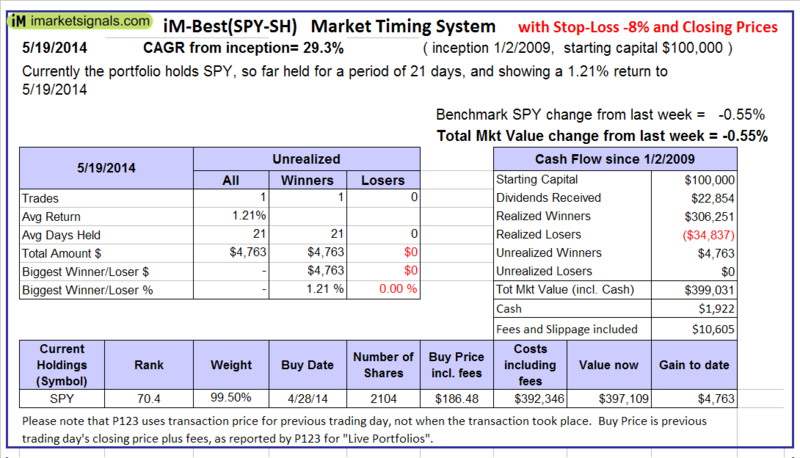 Over the previous week the market value of Best(Short) gained 0.05% while SPY lost 0.55%. Over the period 1/2/2009 to 5/12/2014 the starting capital of $100,000 would have grown to $119,443, which is net of $11,080 fees and slippage. 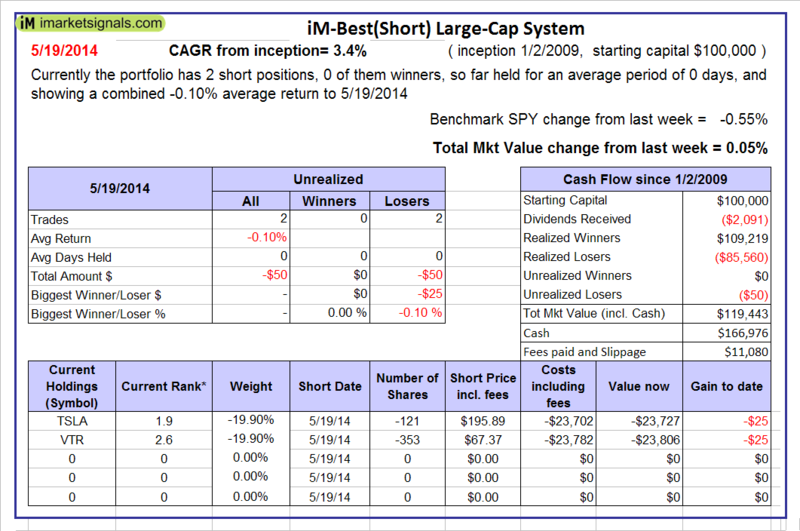 ‹ Evaluating any P123 portfolio hedged with iM-Best(Short) Large-Cap.